GAF tops other companies when it comes to shingle roof projects. They are the leading manufacturer of beautiful and durable asphalt shingles in the world. More than their top-of-the-line products, they also provide our roofers with intense factory training to ensure their accurate installation. They also offer one of the most extensive roofing warranties in the industry to protect your investment for a long time. We turn to Revere Copper when we need finely crafted copper metal roofing. They have been the leading source of copper roofing products more than two centuries. Their long business history can be credited to their constant innovation, commitment to quality, and attention to what homeowners need from their copper roof. 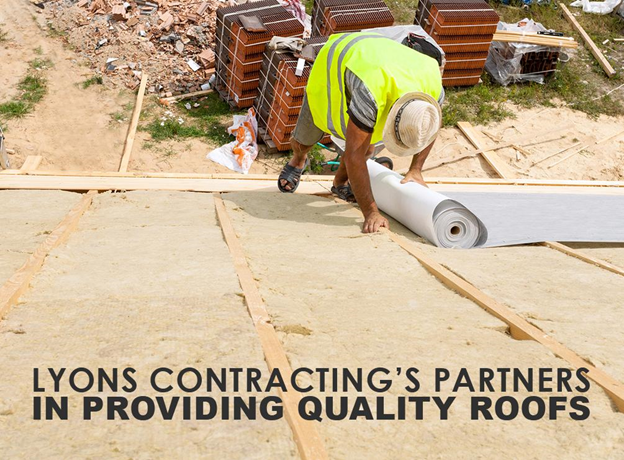 As their certified roofing contractor in Falls Church, VA, we make sure that their quality materials are installed with care and precision. Firestone is our go-to company for the majority of our low slope or flat roofing projects. They have an unmatched ingenuity when it comes to specialized coatings and rubber layers, which also keeps their name on top. Firestone also offers long-term warranties that we can pass on to our clients. We encounter many homeowners who want a metal roof but cannot find any style that matches their homes. This is why we opened our own sheet metal roof fabrication center to accommodate specific requests. We can customize your dream metal roofing with our excellent craftsmanship and top notch materials. Thanks to our partners, we have become widely recognized as the premier roofing company in Falls Church, VA. With us, you can be confident not only in the quality of our installation services, but also of our products. If you’re planning for a complete reroof, call us today at (703) 457-6560.